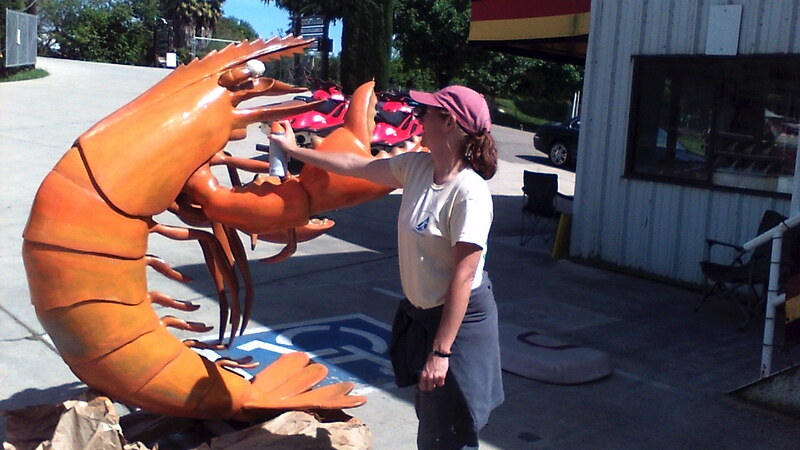 The Riverboat Marina Restaurant had a 6′ crawdad sculpture out front that really needed some TLC. Someone broke a limb off and stood on his tail and broke that too. He was also dingy and dirty. He was looking pretty sad so I offered to fix it. 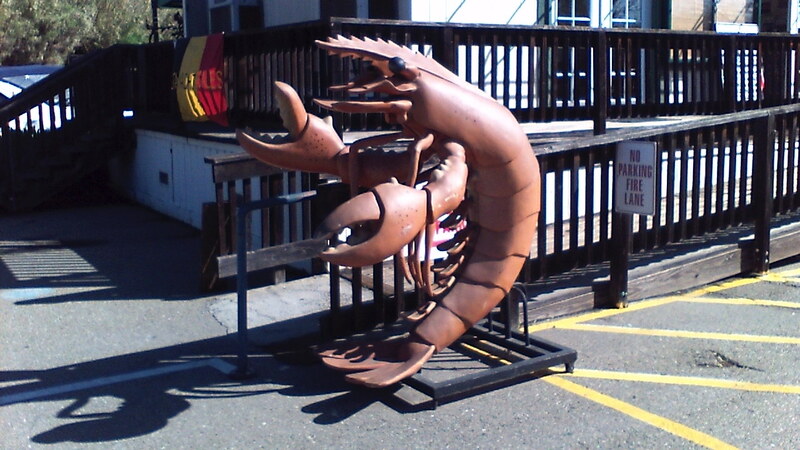 He is now as bright orange as a cooked crayfish should be. 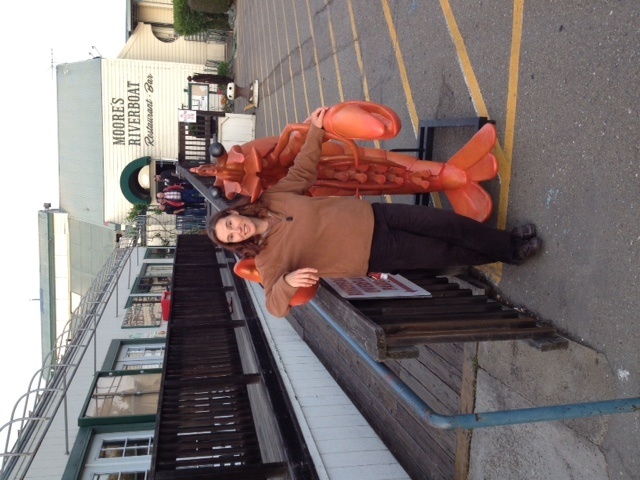 I had my picture taken with him when he was back in place and a line immediately formed of restaurant patrons eager to do the same. He’s already a celebrity. I’m so proud. This entry was posted on Saturday, April 28th, 2012 at 4:42 pm and is filed under Uncategorized. You can feed this entry. You can leave a response, or trackback from your own site.